Margaret Ann "Snooky" Caroselli, age 79 of Sayner, WI died on Wednesday, January 30th at the Seasons of Life Hospice House with her family by her side. Margaret was born on May 1, 1939 in Warren, Ohio the daughter of Edward and Elizabeth (nee Gallagher) Sable. She attended and graduated from Warren G. Harding High School in Warren, OH. She married Frank Caroselli on January 16, 1960. She is survived by her husband of 58 years, Frank Caroselli and by her children: Francis E. Caroselli, Thomas B. (Louise Van Order) Caroselli, James J. Caroselli, and by grandchildren: Anthony, Maria, Dominic and Zachary Caroselli and by her brothers: Edward and James Sable. She is further survived by other relatives and friends. Margaret was preceded in death by her parents Edward and Elizabeth Sable and her sister Marilyn Sable. 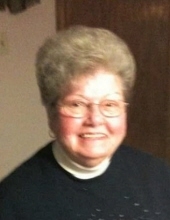 Funeral Mass for Margaret will be held on Friday, February 8th at 11:00 am at Holy Family Catholic Church in Woodruff, WI with a visitation from 10:00 am to 11:00 am. In lieu of flowers, memorial donations to the Seasons of Life Hospice House in Woodruff, WI. NIMSGERN FUNERAL & CREMATION SERVICE IS SERVING THE FAMILY. To send flowers or a remembrance gift to the family of Margaret A. Caroselli, please visit our Tribute Store. "Email Address" would like to share the life celebration of Margaret A. Caroselli. Click on the "link" to go to share a favorite memory or leave a condolence message for the family.